Here’s where we are (red dot)…Watch the Domaso Italy Video! Domaso hotels are located away from the mad tourist crowds of Southern Lake Como towns and are available at a fraction of their cost. 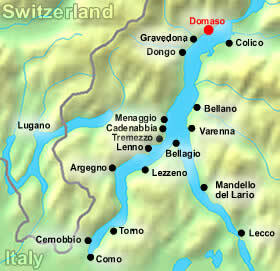 Domaso Italy is especially famous for its windsurfing hotspots.